Learners select an employer-focused topic that is related to nursing in order to apply leadership skills at work, and propose further avenues for evidence-based practices in nursing. In order for a Capstone Project to be successful, learners will develop and refine their project goals, objectives, and results throughout the second and third semesters before completing the final written proposal. BSN Program instructors aid learners in selecting a topic and provide feedback during each step of the Project’s timeline. 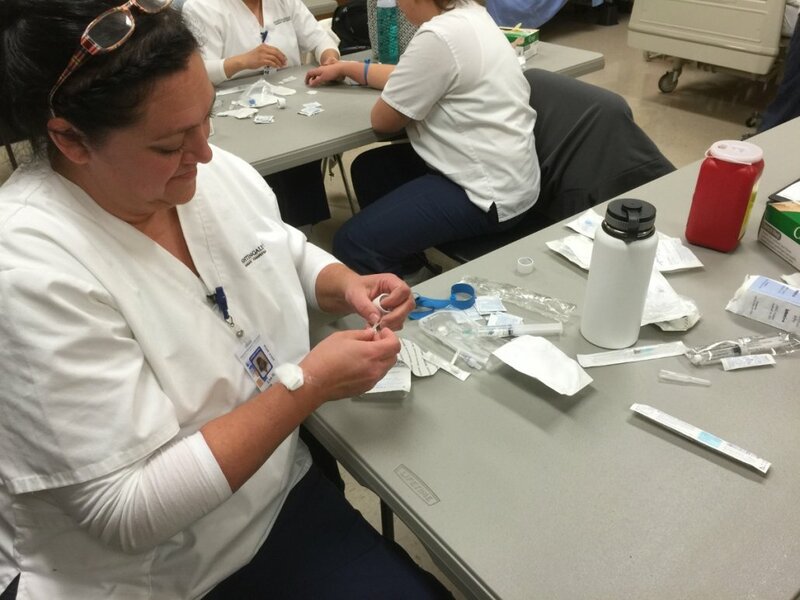 Learners utilize advanced reasoning skills taught in the BSN Program to uncover potential proposal topics such as the importance of hand washing, tactics to decrease the number of patient falls, and proposing methods to reduce the number of medication errors by nurses. Proposal topics are chosen based on the needs of a learner’s employer. Instead of waiting to use the skills and knowledge until after graduation, the BSN Program’s Capstone Project is intended to help learners implement solutions now and place them in a position of leadership. The Capstone Project brings value to employers and to learners willing to step up to the challenge and make a difference in their facility. What are the Benefits to the Capstone Project? There are many benefits to participating and completing Nightingale College’s employer-focused Capstone Project. From advancing your knowledge and skills past an ADN competency level, the Capstone Project tests learners ability to apply what has been learners to real-world situations. The Project is not to be taken lightly as it is one that asks learners to become engaged in their place of employment and find solutions to challenges that may be faced on a daily basis. Throughout the Project, learners are viewed as invested employees at work because the structure of the course requires learners to recognize and assess policies and procedures. The Capstone Project is designed to challenge learners to develop a strategy that may be implemented at their current place of employment. The course is designed to train learners in leadership skills and to recognize inefficiencies while providing possible solutions. Learners will learn about vision, creativity, and planning in relation to nursing leadership. Learners are encouraged to get involved at work and look for areas of improvement. Learners who decide to take responsibility for their education will gain significant value from the Project. This Project will help elevate the employer and advance their nursing career. The nursing profession is constantly changing and nurses are required to have the latest skills and knowledge in order to bring value to their employers and colleagues. By completing the Capstone Project, learners have already positioned themselves in a leadership role and have displayed their passion and commitment for advancing nursing practices. Securing a future in nursing requires advanced knowledge and skills, as well as positioning yourself as an asset to the organization. What is the Capstone Experience? Throughout the Program, learners will engage in didactic instruction with accompanying assignments to prepare them for the final Capstone Proposal that is completed in the final semester of the course. From the start in the class, faculty instructs learners on the purpose, goals, and structure for the Capstone Project. 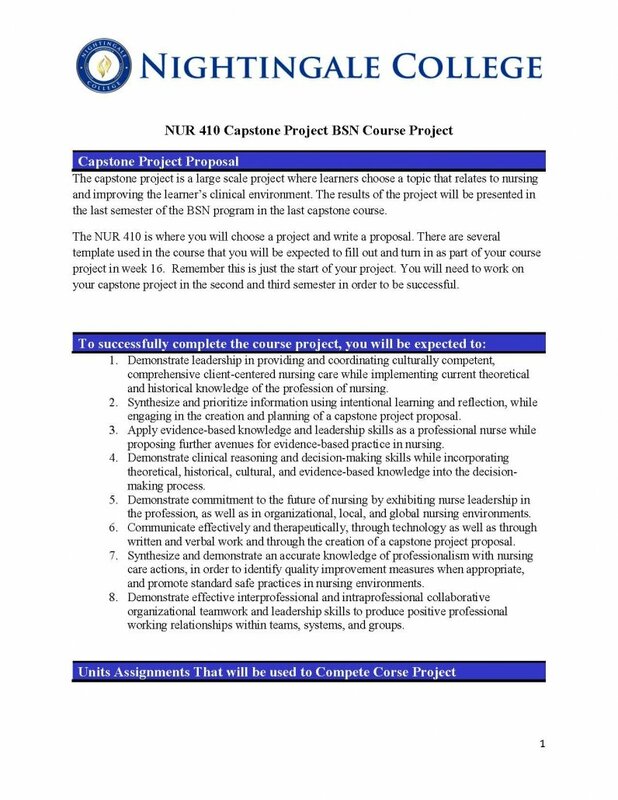 BDN 355: Capstone Proposal is completed in the first semester of the Program and will be completed the final semester in BDN 485: Capstone Leadership. Beginning the Capstone Proposal can be an intimidating first step to take. Use the steps and resources below to begin brainstorming the best topic for your Project and your employer. Define what the ultimate goal is with the Project. Develop the Project’s objectives and strategies, and reasoning (background) behind the Project’s question. Determine the desired outcomes of the stated objectives and an evaluation technique. 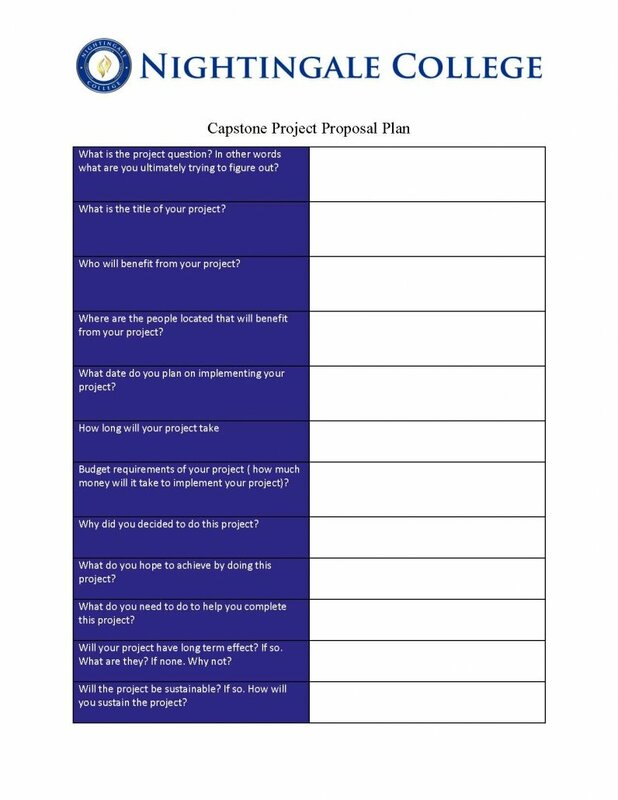 Designate the required timeline of Project milestones, budget, and involved individuals. 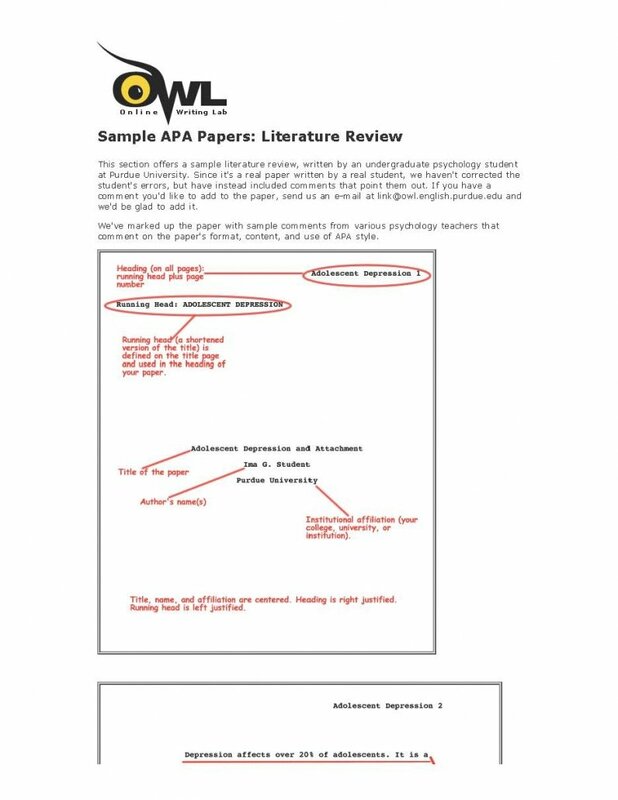 Draft the Capstone Project proposal according to APA guidelines and as a literature review.